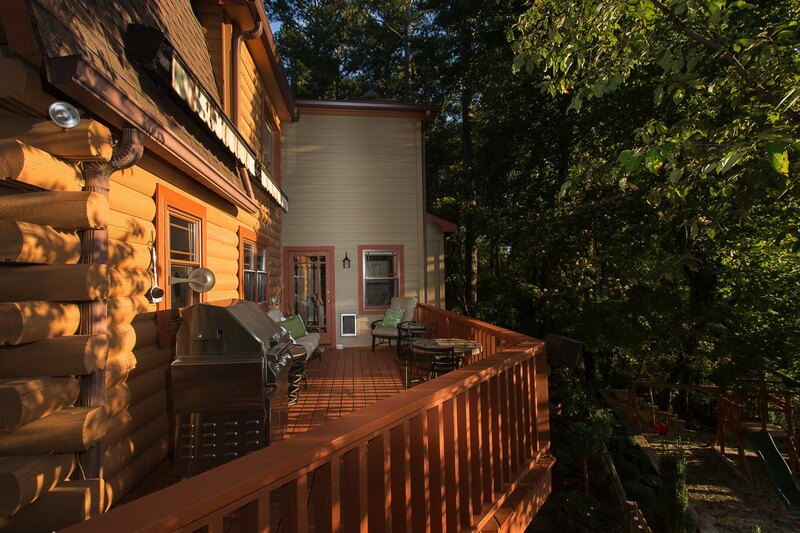 Originally a log cabin, this new deck was part of a larger renovation project at an East Cobb home. 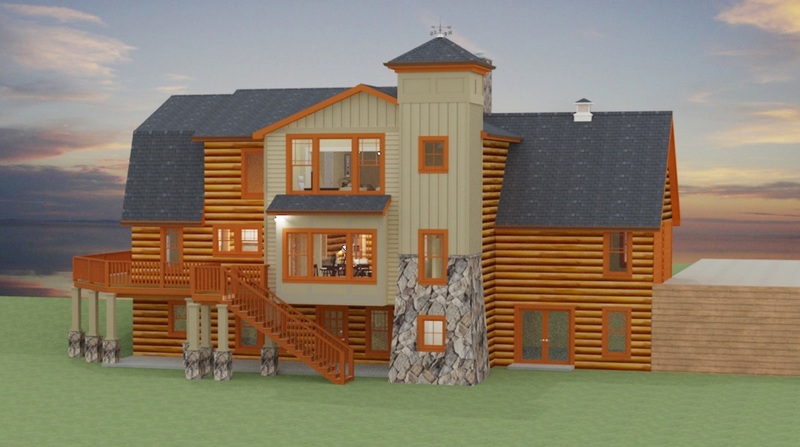 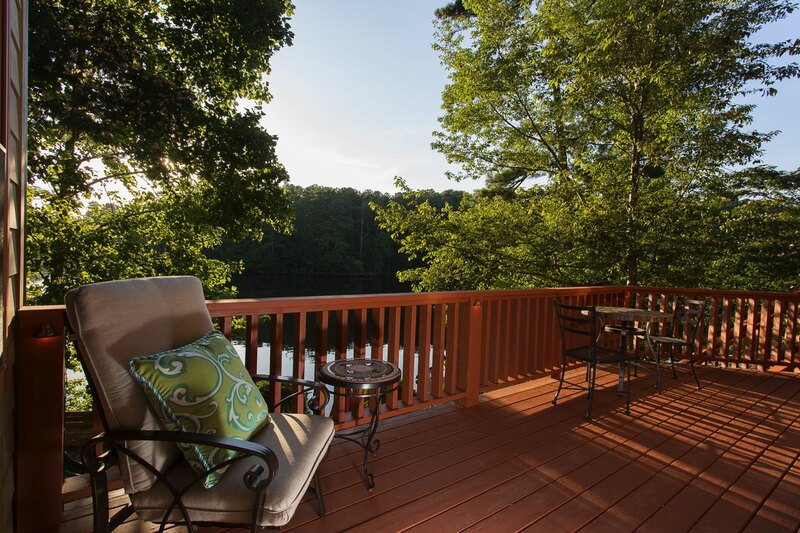 A rear deck that connects the existing wrap-around deck from the front of the house to the new addition at the rear. 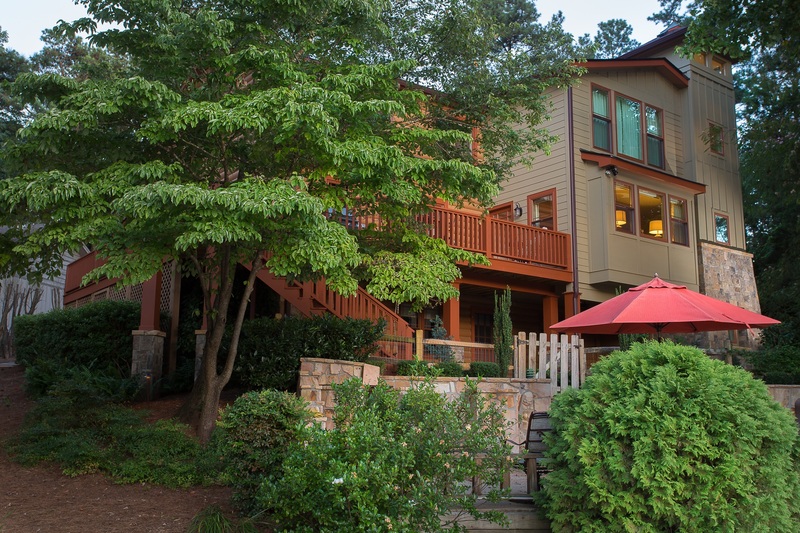 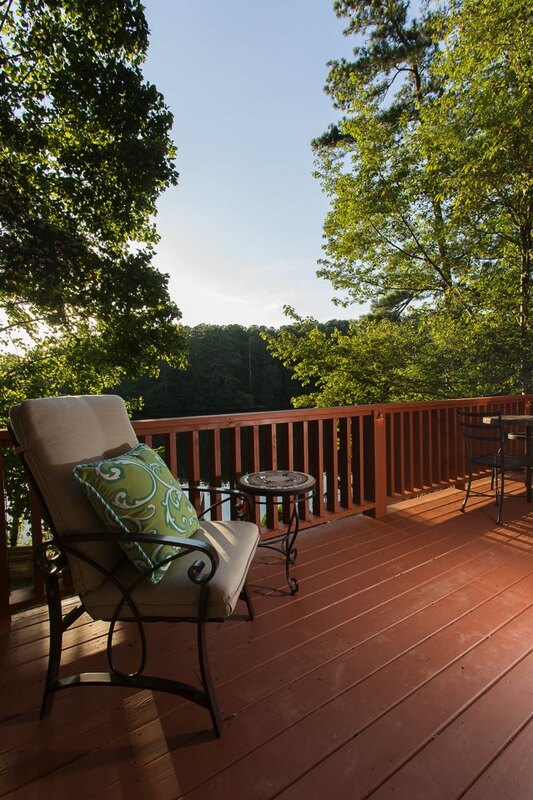 It overlooks the private lake below and is ideally situated to enjoy Atlanta sunsets over the lake.